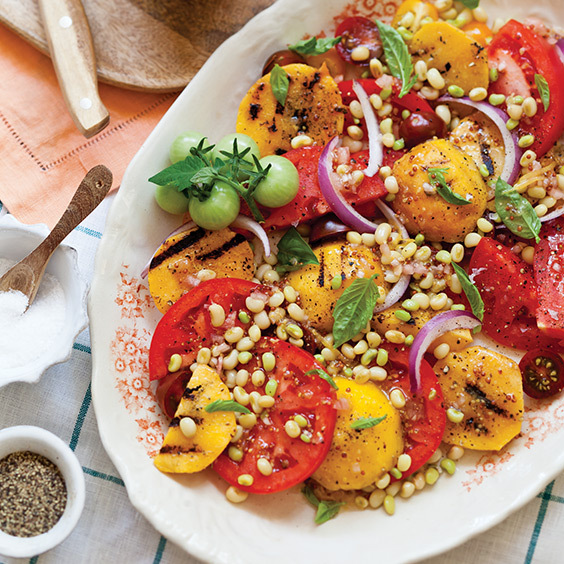 This yummy Grilled Peach and Tomato Salad celebrates the best of summer produce. In a medium bowl, whisk together canola oil, lemon zest and juice, shallot, vinegar, Dijon, honey, salt, and pepper; stir in peas. Cover and refrigerate. Heat a grill pan over medium heat. Brush peaches with olive oil, and cook until lightly browned, 2 to 3 minutes per side. 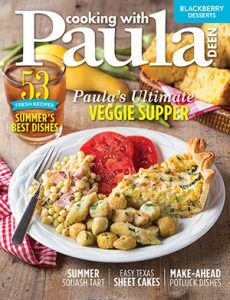 On a serving platter, arrange grilled peaches, all tomatoes, basil, and onion; top with pea mixture. Serve immediately.